Read William Cowper best poems. 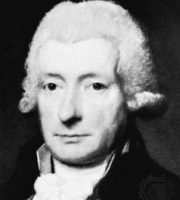 William Cowper was a famous english poet and writer. He is best-known for his poem Light Shining out of Darkness. He is one of the most popular poets of his time. In many ways, he was one of the forerunners of Romantic poetry. Cowper changed the direction of 18th century nature poetry by writing of everyday life and scenes of the english countryside.